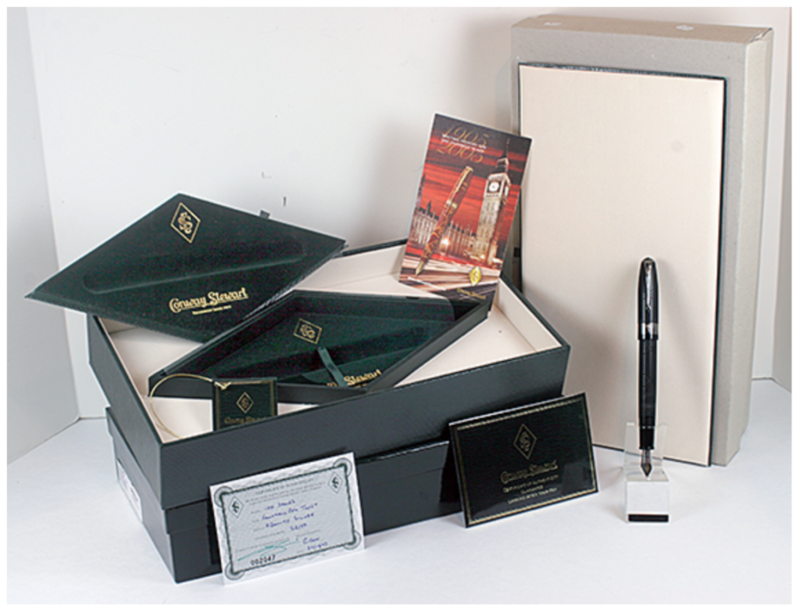 This is a 2008 Conway Stewart 100 Doctor Pen Limited Edition # 32/50 piston-filling fountain pen in Black Chased Ebonite (hard rubber). Features Sterling Silver trim. Wide cap band with an engraved caduceus, and a two-tone, 18K medium nib. New-old-stock. Mint in box with papers and outer box. Item #40 in Catalog #85. 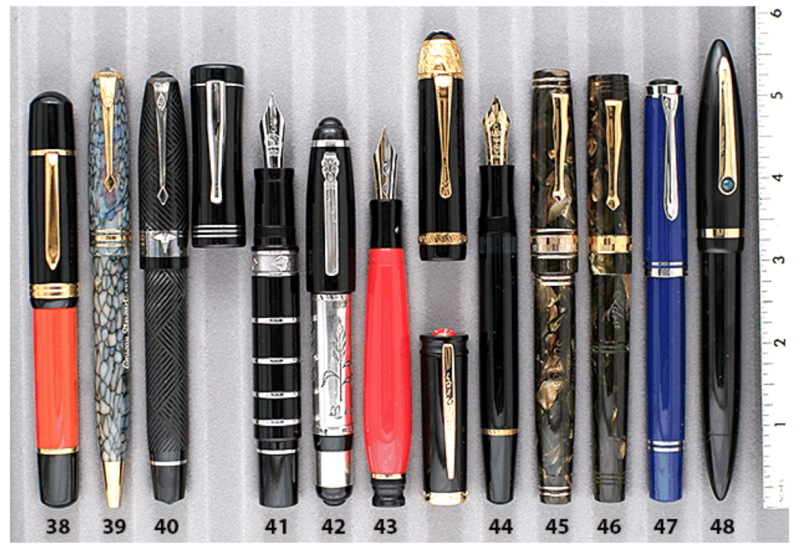 This entry was posted in Vintage Pen, Vintage Pens and tagged Catalog, Catalogs, Conway Stewart, Extraordinary Pens, Fountain Pens, Go Pens, GoPens, Vintage Fountain Pen, Vintage Fountain Pens, Vintage Pen, Vintage Pens. Bookmark the permalink. Follow any comments here with the RSS feed for this post. Post a comment or leave a trackback: Trackback URL.